Uttar Pradesh Samajwadi Party Smartphone Yojna Registration: UP CM Mr. Akhilesh Yadav attend the seminar in Lucknow on Monday 10-10-2016. They launched the Samajwadi Party smart phone yojana in which SP Sarkar provide the Smartphone 4G Phones to those residents of Uttar Pradesh whose age is above 18 years and they passed out Class 10th from any board. The most important thing is that the income of the students or candidates house is less than Rs. 6 lakh per year. For more details and updates regarding this 4G Smartphone Yojana of Akhilesh, Sarkar Please checks out the complete article. Earlier the youngest CM of Uttar Pradesh Akhilesh Yadav announced the scheme on social media, but complete inaugural at around 10 am on Monday in Lucknow. We have to tell all those who are ready to apply against this Samajwadi Party 4G Mobile Yojana, the distribution of the free smartphones will begin next year after the state elects a new government. As we know this has clear now only eligible voters who are 18 years of now in age are able to take part in the scheme. The other eligibility is candidates are required to submit all the documents to prove that the annual income of his or her family is less than Rs. 6 lakhs P.A. 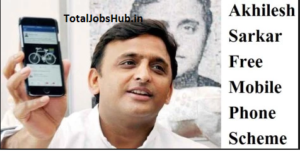 Second significant thing is the applicant must be a citizen of Uttar Pradesh. Candidates are also required to submit the valid phone number at the time of registration for Akhilesh Sarkar Free Mobile Phone Scheme. The first thing you have to do is visit the Website of Samajwadi Party mention below. The government of Uttar Pradesh verifies all the details which will be mentioned in the forms by the candidates through the local administration. Forms that do not pass inspection due to any cause or errors will immediately become disqualified from the scheme. The Free smartphone will run on latest Operating System OS Android New Version. The second thing is the Official Apps of the UP Government will be pre-installed so that users can provide all the feedback by using this apps. This UP Sarkar Free Smartphone scheme could be very beneficial if executed in a correct manner. No matter if it is Young and old every 10th Passed will be benefited by this scheme.